New Jersey Senator Cory Booker put forward a bill that would legalize weed in the United States earlier this year and has been promoting it ever since. The legislation goes further than simple legalization by punishing states with racist policing practices. With the Republican-controlled Congress, this bill is a long shot with golden intentions. Other issues around legalization center around what to do with people who currently have weed related criminal records. Booker’s bill would expunge criminal records for people convicted of using or possessing marijuana, even if those charges stretch back decades. “We need to remember that these are charges that follow people for their entire lives, and make it difficult for them to do things we take for granted,” Booker said. Even if weed was legal federally, individual states could still elect to keep cannabis prohibited. A goal of the bill is address discrimination in drug enforcement. In order to encourage hold-out states to legalize, Booker’s bill would withhold federal funding from states that arrest black people for weed crimes at higher rates than whites. According to the ACLU, that includes every state in which weed is illegal. The bill would also clear people who’ve served time for use and possession. “For people in prison right now on marijuana charges, it gives them an avenue to have their sentences reduced or eliminated,” Booker said. Booker has political aspirations greater than the Senate. There’s a lot of buzz around Booker and a 2020 presidential campaign. So, this bill could be a way to build a base for a presidential run. While Booker’s plan may seem ambitious, the bill’s message aligns with the popular and political opinion. According to a 2017 Gallup poll, 64% of Americans think cannabis should be legal. For the first time in history, the majority (51%) of Republicans support legalization. Booker will likely receive major support from his own party with 72% of Democrats on board for legal weed. This move also distances Booker from Governor Chris Christie, the wildly unpopular wildebeest that currently represents New Jersey. Christie has promised to strike down legalization. Whatever office Booker is after, his bill certainly pushes him in the right direction. The current approach to cannabis does not work. It has allowed criminals and organized crime to profit, while failing to keep cannabis out of the hands of Canadian youth. In many cases, it is easier for our kids to buy cannabis than cigarettes. That is why the Government of Canada, after extensive consultation with law enforcement, health and safety experts, and the hard work of the Task Force on Cannabis Legalization and Regulation, today introduced legislation to legalize, strictly regulate and restrict access to cannabis. The proposed Cannabis Act would create a strict legal framework for controlling the production, distribution, sale and possession of cannabis in Canada. Following Royal Assent, the proposed legislation would allow adults to legally possess and use cannabis. This would mean that possession of small amounts of cannabis would no longer be a criminal offence and would prevent profits from going into the pockets of criminal organizations and street gangs. The Bill would also, for the first time, make it a specific criminal offence to sell cannabis to a minor and create significant penalties for those who engage young Canadians in cannabis-related offences. In addition to legalizing and strictly regulating cannabis, the Government is toughening laws around alcohol- and drug-impaired driving. Under the Government’s proposed legislation, new offences would be added to the Criminal Code to enforce a zero tolerance approach for those driving under the influence of cannabis and other drugs. Additionally, the proposed legislation would authorize new tools for police to better detect drivers who have drugs in their body. Subject to Parliamentary approval and Royal Assent, the Government of Canada intends to provide regulated and restricted access to cannabis no later than July 2018. The Government will invest additional resources to make sure there is appropriate capacity within Health Canada, the Royal Canadian Mounted Police, the Canada Border Services Agency and the Department of Public Safety to license, inspect and enforce all aspects of the proposed legislation. These additional resources will also allow the Government to undertake a robust public awareness campaign so that Canadians are well informed about the dangers of driving under the influence of cannabis and other drugs. Working in partnership with provinces, territories, municipalities and local communities, the Government will also make appropriate investments to train and equip law enforcement so that Canada’s roads and highways are safe for all Canadians. In the months ahead, the Government will share more details on a new licensing fee and excise tax system. It will also continue to engage with all levels of government and Indigenous Peoples. The Cannabis Act proposes that legal sales of cannabis would be restricted to people who are 18 years of age and over. Provinces and territories could increase the minimum legal age of sale, purchase and consumption. The movement of cannabis and cannabis products across international borders would remain a serious criminal offence. Following Royal Assent, the Government intends to bring the proposed Act into force no later than July 2018. At that time, adults would legally be able to possess up to 30 grams of legal cannabis in public, and to grow up to four plants per household at a maximum height of one metre from a legal seed or seedling. Until the new law comes into force, cannabis will remain illegal everywhere in Canada, except for medical purposes. The provinces and territories would authorize and oversee the distribution and sale of cannabis, subject to minimum federal conditions. In those jurisdictions that have not put in place a regulated retail framework, individuals would be able to purchase cannabis online from a federally licensed producer with secure home delivery through the mail or by courier. The proposed legislation would amend the Criminal Code to modernize and simplify the transportation provisions, strengthen the criminal law responses to impaired driving, and facilitate the effective and efficient investigation and prosecution of drug- and alcohol-impaired driving. To facilitate detection and investigation of drug-impaired driving, law enforcement officers will be authorized and equipped to use oral fluid drug screeners at the roadside. The last of the former Cannabis Culture dispensaries in Toronto, once synonymous with Marc and Jodie Emery, will close this weekend after becoming a frequent target of police raids — a consequence the marijuana activists blame on the government’s support of licensed producers. The dispensaries were making pot available in contravention of the law, until recreational marijuana is actually legalized by the government, a process expected to happen in July 2018. But former owner Jodie Emery said she believes dispensaries in Toronto have been raided more frequently in the past year because the federal Liberals want to keep the recreational weed market clear for the licensed producers already selling medical marijuana. The Emerys divested themselves of their Cannabis Culture shops in Toronto on March 10, as part of their $30,000 bail conditions on possession and drug trafficking charges. 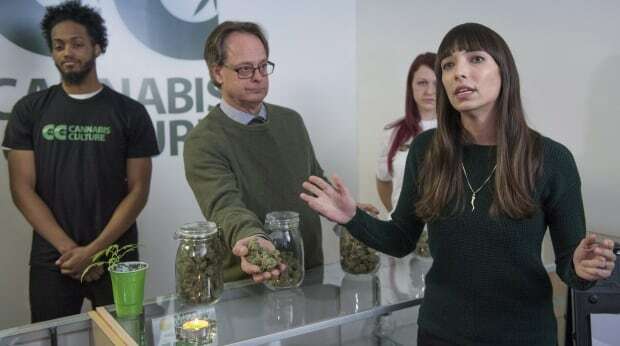 Jodie Emery said the couple decided to open the storefronts to fund their activism — and because she believed the franchise model would be successful once Ottawa legalized pot. “We wanted to have our spot in this industry, because we’ve earned it and we deserve it …after 10 years of being broke and suffering through prison and court,” she said. The 461 Church St. location was reborn as the Village Cannabis Dispensary after the Emerys sold it to Jamie McConnell, the store’s former manager. McConnell said his landlord will no longer rent to the dispensary, something he said has happened because of pressure from the police raids and the city. He said he believes it’s better to have marijuana “activists and users” sell the products than licensed producers, because they know first-hand what makes a quality product. But Andrea Hill, a corporate and securities lawyer with the firm SkyLaw who represents several regulated marijuana firms, said the dispensaries have been shut down because what they’re doing is illegal. It has nothing to do with the regulated medical marijuana industry. And those licensed producers have been pioneers in the industry as well, she said. “They’ve put themselves on the line just as much as anyone else,” the lawyer said. “If a business is operating outside of the law and it can’t make it and it has to shut down I think that means that the law wins — and that people who play by the rules win, at the end of the day. I think that’s a good thing. An earlier version of this story indicated that recreational marijuana is expected to be legalized by the federal government this July. In fact, it is expected in July 2018. As of 04/08/2017 text has not been received for H.R.2020 – To provide for the rescheduling of marijuana into schedule III of the Controlled Substances Act. With federal authorities hinting at a possible crackdown on state-licensed marijuana dealers, a group of California lawmakers wants to block local police and sheriff’s departments from assisting such investigations and arrests unless compelled by a court order. A bill by six Democratic legislators has drawn strenuous objections from local law enforcement officials, who say it improperly ties their hands, preventing them from cooperating with federal drug agents. But proponents say the measure is needed to assure marijuana growers and sellers that applying for state licenses will not make them more vulnerable to arrest and prosecution under federal law, which designates cannabis as an illegal drug. “Prohibiting our state and local law enforcement agencies from expending resources to assist federal intrusion of California-compliant cannabis activity reinforces … the will of our state’s voters who overwhelmingly supported Proposition 64,” said Assemblyman Reggie Jones-Sawyer (D-Los Angeles), the lead author of the new bill. The act of resistance is similar to legislation that would prevent California law enforcement agencies from cooperating with federal immigration officials in the deportation of people in the country illegally. Senate Bill 54 would address that concern and make California a so-called sanctuary state for immigrants, while Jones-Sawyer’s legislation would similarly make the state a sanctuary for the marijuana industry. The immigration and marijuana issues have been given new focus by the administration of President Trump, who state officials fear is breaking from the policy of former President Obama, who took a more hands-off approach to both issues. U.S. Atty. Gen. Jeff Sessions has indicated in public comments that he thinks marijuana is a danger to society. Last month, White House Press Secretary Sean Spicer caused a stir when he said, “I do believe that you’ll see greater enforcement” of laws against the sale and use of recreational marijuana. In November, California voters approved Proposition 64, which legalized the growing and sale of marijuana for recreational use. State agencies plan to begin issuing licenses early next year. The new legislation would prohibit state and local agencies, unless served with a court order, from using agency money, facilities or personnel to assist a federal agency to “investigate, detain, report, or arrest” any person for actions that are authorized by state law. California authorities would also be unable to respond to requests by federal agencies for the personal information of anyone issued state licenses. The measure has angered some local law enforcement officials — including Youngblood, who sees it as improperly meddling in law enforcement decisions in the same manner lawmakers are proposing with immigration law. “This is ridiculous that this looks like a solution to somebody,” he said. The sheriff said his agency frequently works with federal drug agents in task forces targeting illegal marijuana grows in forested areas of the county. He said he doesn’t want to be prevented from working with federal authorities, even if the state starts licensing pot farms. The legislation has garnered initial support from marijuana industry leaders, including Hezekiah Allen, executive director of the California Growers Assn. Current protocol and law obligates local law enforcement to cooperate with federal drug agents, he said. Assemblyman Rob Bonta (D-Oakland), a coauthor of the measure, said the legislation is needed because of a threat that the Trump administration might withhold federal funds from states that do not cooperate with federal authorities, although that threat has so far been limited to immigration enforcement. “As this administration has threatened to defund California, we should not be expending scarce local and state resources to assist the federal government in ways that run counter to the crystal-clear wishes of California voters,” Bonta said, adding that the measure, Assembly Bill 1578, “will reassure responsible operators” that the state won’t turn them in to federal authorities. The assemblyman said it is important that the bill also protects the personal information of license holders so that they are willing to share it with state regulators. “California is committed to not sharing licensee information with the federal government and thereby upholding the will of the voters in creating a safe marketplace for medical and adult use,” Bonta said. The current policy of the state Bureau of Medical Cannabis Regulation would be to treat any request for personal information as a formal request under the California Public Records Act. The agency “would determine, based on the information being requested, what is required to be released and what is exempt from disclosure under the law,” said Alex Traverso, a bureau spokesman. Allen expects California to follow the lead of states such as Colorado, which makes public on a website the names of businesses and addresses of those who are given licenses to grow and sell marijuana. The Colorado website lists growers and sellers by the names of limited liability corporations and does not list who the individual investors and partners are. Allen said industry attorneys have advised him that some basic information about license holders will have to be made public. With the inauguration of Donald Trump on January 20, the United States got a new president. And with that new president comes a long list of new appointees across various federal agencies and departments. While President Trump’s cabinet selection process has played out publicly, a variety of folks from former president Barack Obama’s administration have quietly stayed on. One of the most prominent people that’s staying on is the head of the Drug Enforcement Agency, Chuck Rosenberg, who was appointed by former attorney general Loretta Lynch in May 2015. And that’s particularly notable, as the DEA is responsible for enforcing drug policy in the United States. Most importantly for most Americans, Rosenberg is in charge of enforcing marijuana illegality in the US — an area where, traditionally, the federal government and individual US states have butted heads. For instance, California legalized medical marijuana use in 1996; despite legality in California, the drug remained illegal on a federal level, and the US government — through the DEA — policed it as such. California medical dispensaries were raided by the federal government repeatedly, regardless of its legality in the eyes of the State of California. That relationship dramatically changed in 2013 due to a document known as “The Cole Memo” (written by deputy attorney general James Cole). The document re-focused federal resources away from prosecuting individuals who were operating legally within their own states, and instead focused on containment and prevention. In so many words, it directed federal agencies to stop clashing with state-level marijuana policy. And DEA head Chuck Rosenberg has upheld that memo. Of course, this is all up for change. If Trump’s attorney general appointee, Senator Jeff Sessions, is appointed, he could direct the DEA to take a more hardline stance. And if President Trump himself decides to take a more hardline stance, that would also impact how the DEA operates when it comes to federal marijuana policy. To be clear, neither Sessions nor Trump have indicated as much. As Fox told Business Insider, “The DEA head acts as the direction of the attorney general who acts at the direction of the president.” That said, both President Trump and Senator Sessions have indicated intentions to keep the status quo: allowing states to legislate and police their own drug laws. In 2016, alongside Trump winning the presidency, several states enacted laws either outright legalizing recreational marijuana use, cultivation, and distribution/sales or legalized medical use. For the foreseeable future, it looks like the US government will continue to defer to individual states in terms of marijuana policy. Laws are different than rules and understanding the difference between the two can be important to your marijuana business’s bottom-line. I will use Washington State as the example. In Washington, laws are generally enacted through initiative or through the legislative process. Initiatives allow voters to pass laws directly by popular vote. Washington legalized recreational marijuana by popular vote — Initiative 502 in 2012. The legislative process requires a bill pass through both Washington’s Senate and House of Representatives and then garner the Governor’s signature before becoming law. Recently, SB 5052 and HB 2136 were passed through the legislative process and established new Washington State laws regarding medical cannabis. As is the case with other states with “robust regulation,” Washington cannabis businesses are also subject to rules created by state agencies without the political protections provided by initiatives and the legislative process. State agencies, like the Washington State Liquor and Cannabis Board (LCB), are government entities given the power to regulate and govern a specific area or industry. These agencies are typically run by unelected officials. Agencies arguably create more efficient government because they a focus on one discreet area or industry, with expertise not usually available to legislatures and lawmakers. A rule is an agency order, directive, or regulation that applies to the public generally. Rules are similar to laws because those who violate them may be subject to penalties and sanctions. Rules can and do change constantly, whereas laws tend to remain more static. The LCB’s rule-making process may begin with an individual’s petition to the LCB, but often the agency itself initiates the process against a cannabis business if it sees a need to do so. To enact a rule, the LCB must publish notice of the rule-making in the Washington State Register. The LCB then holds a public hearing at which citizens are given an opportunity to comment on the proposed rule. Citizens can also submit written comments to the LCB about the proposed rule. The LCB must consider the public comments and then issue an order of adoption, which explains the new rule and the basis for its adoption. Agencies can also institute emergency rules, which are not subject to the above requirements and become effective immediately. These emergency rules only last for up to 120 days and they must be in response to some immediate issue or danger. The Washington Department of Health recently issued emergency rules for medical marijuana, for instance. Despite similarities to laws, LCB rules are not subject to the same type of political recourse as laws. This is significant because LCB regulations have huge impacts on the cannabis marketplace. For example, in Initiative 502, voters enacted residency requirements that restrict issuance of cannabis licenses only to those who can demonstrate having spent a certain amount of time in the state (see here and here). The Initiative never mentions “True Party of Interest.” In its rule making though, the LCB created the term, True Party of Interest, and defined it, and now applies the residency requirements to any party deemed to be a True Party of Interest. The definition for a “True Party of Interest” includes all investors and the spouses of any shareholders or principal. Though never contemplated by the voters, the “True Party of Interest” rule significantly restricts the marijuana marketplace by making it difficult for out-of-state investors to put their funds into Washington State cannabis businesses. Moreover, Washington voters who disagree with the “True Party of Interest” rule have little recourse beyond lobbying to get this rule changed. One of the best ways for citizens to get involved with LCB rule making is to comment during the agency’s rule-making process. Currently the LCB and the Washington State Department of Health are holding hearings regarding medical marijuana regulations. If you care about the future of the marijuana industry in Washington State you should make your voice heard at one or more of these hearings. To mark the anniversary of recreational-marijuana stores opening in Washington, we look at The Seattle Times’ coverage of pot over the past 115 years. Later stories journeyed from a portrayal of marijuana as an illegal, dangerous drug used by dirty hippies to a legal drug purchased at a regulated store. The corn remedy is one of hundreds, if not thousands, of mentions of marijuana, also referred to as pot, weed, mary jane, cannabis, reefer, that have appeared in The Seattle Times pages since 1900. To mark Wednesday’s one-year anniversary of recreational-marijuana stores opening in the state, we took a look at our cannabis coverage over the past 100-plus years. Marijuana turned musicians in Chicago into “laugh addicts,” according to a 1928 account. A 1940 dispatch from New York recounted that “Harlem Negroes” had invented a new lexicon related to marijuana. Other stories recounted drugs coming in from Canada, China and the Middle East. “There’s always some demonized group,” said Bruce Barcott, a Bainbridge Island journalist who co-wrote a Time cover story in May about pot research and legalization. And oh, won’t someone think of the children? Echoing films such as “Reefer Madness,” marijuana was often portrayed as a gateway drug to narcotics, debauchery and a life of crime. In 1953, The Seattle Times interviewed parents of teens arrested for stealing cars. The parents of one 13-year-old said their son “got in with a tough Queen Anne High School gang,” who would get marijuana, then steal cars “for the thrill of it.” A year later, a dealer was sentenced to 15 years in prison for selling dope to minors. In the 1960s and 1970s, the drug became more associated with counterculture, with hippies wandering around in a “sea of mud, sickness and drugs,” as Woodstock was described in a 1969 story. In 1981, The Seattle Times ran a 10-part series (yes, 10) called “Marijuana and Your Child.” There was a marijuana epidemic among America’s children, an Associated Press reporter wrote, that didn’t kill, but maimed. Only recently have the mainstream media covered marijuana as something that might have value, Barcott said. One of the first Seattle Times stories about medical marijuana was published in 1975, when a drug expert testified at a Drug Enforcement Administration hearing. The majority of the US Senate Appropriations Committee on Thursday cast votes in favor of expanding medical cannabis access to United States veterans. The committee vote marks the first time that a majority of any body of the US Senate has ever decided in favor of increased cannabis access. Committee members voted 18 to 12 in favor of The Veterans Equal Access Amendment, sponsored by Republican Senator Steve Daines of Montana and Democratic Senator Jeff Merkley of Oregon. It was added in committee to a must-pass military construction and veterans affairs spending bill (the Military Construction, Veterans Affairs, and Related Agencies Appropriations Act). The bill is “certain” to pass on the Senate floor, according to a Drug Policy Alliance press release. Weeks ago, House members narrowly killed a similar amendment in the House version of the Appropriations Act by a floor vote of 210 to 213. Once the Senate version of the act is passed by the Senate floor, House and Senate leaders will need to reconcile the two versions. The Daines/Merkley amendment permits physicians affiliated with the US Department of Veterans Affairs (VA) to recommend cannabis therapy to veterans in states that allow for its therapeutic use. Under current federal law, VA doctors are not permitted to fill out written documentation forms authorizing their patients to participate in state-sanctioned medical cannabis programs. Stand-alone legislation (HR 667) to permit VA physicians to recommend cannabis therapy is pending in the US House of Representatives, Committee on Veterans Affairs: Health Subcommittee. A similar provision is also included in Senate Bill 683/HR 1538, The Compassionate Access, Research Expansion, and Respect States (CARERS) Act. NORML coordinated its 2015 legislative ‘fly-in’ and lobby day in Washington, DC this past week, where many attendees visited with US Senators and urged them to vote for the Daines/Merkley amendment, among other pending reform legislation. Archived presentations from the conference are online here. To learn and/or to contact your elected officials in regard to other pending marijuana law reform legislation, please visit NORML’s ‘Take Action Center’ here. Upcoming event: NORML Aspen Legal Seminar May 28-30, 2015 – Limited tickets available! DENVER — The marijuana in those pot brownies isn’t the only thing that can potentially make consumers sick. The industry and regulators are taking a closer look at how marijuana-infused edibles are made. The thriving edible marijuana industry in Colorado is preparing for new testing requirements — due to take in effect in October — to make sure the products are safe to eat and drink. While consuming too much of an edible has been connected to at least one death and a handful of hospital visits since retail recreational sales of marijuana began in January, officials say there have been no reports of anyone getting a food-borne illness from edibles. Still, activists, producers, and officials agree that safety testing is long overdue for a sector of the new marijuana market that, according to one industry estimate, has seen the sale of at least 8 million pieces this year. Food safety testing is necessary ‘‘to building any sort of credibility for the industry . 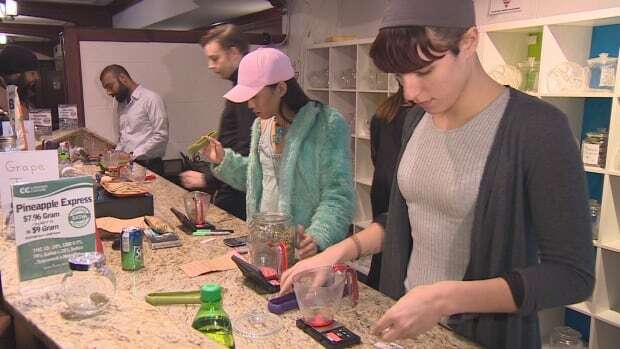 . . to create that public confidence that we’re not just a bunch of stupid kids throwing marijuana into cookies and putting them on the market,’’ said Jazzmine Hall-Oldham, general manager of Bakked, which makes cannabis concentrates and marijuana-infused chocolate bars. With federal help in regulating production nonexistent because the drug is illegal under federal law, state and local governments have had to assemble a patchwork of health and safety regulations for foods with cannabis. The agency that regulates Colorado’s marijuana industry, the state Department of Revenue, requires marijuana manufacturing facilities to meet the same sanitation requirements as retail food establishments, including adequate hand-washing and refrigeration. But the question of whether the state’s 51 licensed recreational edible-marijuana makers meet those standards is left to local health departments, said agency spokeswoman Natriece Bryant. State regulations requiring them also to pass tests for common food contaminants — such as E. coli and salmonella — don’t take effect until the fall. In Washington state, where retail sales are expected to begin the week of July 7, regulations call for samples of all marijuana sold for consumption to clear a ‘‘microbiological screening,’’ whether it’s in edible, smokeable, or concentrate form. With medical marijuana on everyone’s lips (in more ways than one), people are buzzing about weed, hemp, cannabis, THC, CBD, and all kinds of other related terms that you might or might not understand. It’s OK — this is confusing stuff. Leave it to Cultist to offer a little clarity about one such topic you’re probably hearing a lot about: hemp oil. From "cannamoms" to Whole Foods salespeople, lots of folks are touting the benefits of this product. But what is it, exactly, and what does it do? So what is this stuff? Let’s start with what hemp oil is not. It is not marijuana. It does not get people high. Both originate from the same plant, but marijuana is cultivated for the buds (which have to be carefully raised for that specific purpose). They’re also grown differently. The oil has only trace amounts of THC, the psychotropic component in weed. Instead, it has higher concentrations of cannabidiol, or CBD, which is the medicinal boon people are all atwitter over. "You’ll see two kinds — hemp oil drawn from the plant and hemp oil drawn from the seeds. Ours is drawn from the mature stalks of the hemp plant," says Andrew Hard, director of public relations for HempMeds, a California company whose hemp oil products are sold all over the world. The stalk and seeds don’t fall under the definition of what the U.S. government dubs marijuana, he says; that’s why the products are legal in all 50 states. Aw, man. So it won’t get me stoned? HempMeds’ Real Scientific Hemp Oil (RSHO), as a comparison, has 15.5 to 25 percent CBD by volume but only trace amounts of THC. LARGO — Amid allegations that narcotics deputies trespassed and lied to gather evidence, the Pinellas-Pasco State Attorney’s Office announced Tuesday that it is dismissing charges against an accused St. Petersburg marijuana grower and will reconsider dozens of similar cases. The dropped case was against David Cole, 60, who said he was growing pot in his shed to treat his multiple sclerosis symptoms. His attorneys were scheduled Tuesday to grill a key deputy under oath about possible misconduct within the narcotics unit. But that opportunity evaporated along with the case. "Information came to light Friday that calls into question the veracity of those involved in making that case to the point where I believe the right thing to do is to have that case dismissed,” Pinellas County Sheriff Bob Gualtieri said on Tuesday. Gualtieri would not give more details because his internal affairs office is now investigating how the Cole case and others stemming from the two-year surveillance of a Largo hydroponics store were handled. Sworn search warrant applications by deputies Paul Giovannoni and Michael Sciarrino — the lead detectives in the grow house cases — said they could smell indoor pot farms from public sidewalks and neighbors’ yards. But defense attorneys think that the two deputies and at least one supervisor trespassed to get their information, which is illegal. Neither Gualtieri nor Beverly Andringa, executive assistant state attorney, could pinpoint Tuesday how many grow house cases are in jeopardy, saying only that they number in the dozens. Giovannoni and Sciarrino declined to comment. Cole said he was relieved to have the charges dropped. He was caught with 87 plants at varying stages of growth and acknowledges that medical marijuana is illegal in Florida. He had no criminal history in Florida and says his attorney advised that he probably could have plea bargained for nothing more than probation as punishment. But when he heard the deputies might have trespassed and lied about it, Cole said, he told his attorney to reject any plea bargain and use his case to pressure the Sheriff’s Office for answers. He was particularly angered by concrete blocks stacked in stair-step fashion on his neighbor’s property next to his fence. Cole thinks officers might have put them there to vault his fence. Cole’s case is where Tuesday’s canceled deposition of former narcotics deputy Kyle Alston came in. Alston had already been deposed in February, in a Tarpon Springs grow house case. Defense lawyer Newt Hudson asked if Alston had ever seen Sciarrino and Giovannoni "climb over fences,” shorthand for trespassing. Hudson is now trying to use this refusal, along with other information, to have his Tarpon Springs client’s search warrant thrown out, killing any prosecution. Hudson also alerted other grow house lawyers, some of whom are sharing information and call themselves the Scent of Justice Gang in mocking reference to the marijuana sniffing. Clearwater lawyer Douglas deVlaming scheduled Alston to give testimony in Cole’s case on Tuesday, this time with a judge standing by to rule on whether Alston had to answer questions. DeVlaming applauded the sheriff and the state attorney for re-evaluating all the grow house prosecutions but said defense lawyers will continue to subpoena Alston for testimony in other cases as long as any charges are pending. DeVlaming also said State Attorney Bernie McCabe should convene a grand jury to examine the grow house cases, or federal prosecutors should weigh in. Gualtieri estimated it would take about three weeks to complete an internal affairs investigation. Besides re-evaluating pending grow house cases, both he and Andringa said they will also examine investigative techniques on cases recently resolved through plea bargains or convictions. Information about alleged trespassing surfaced in the last few weeks, he said. Cole’s case was one of several under scrutiny when deVlaming subpoenaed Alston for deposition. The timing of Tuesday’s scheduled deposition accelerated the decision to drop Cole’s charges, Gualtieri said. That argument is not swaying defense attorneys to back off. Clearwater lawyer Bjorn Brunvand said he will seek an expedited deposition in the next few days of Alston, Gualtieri and a Progress Energy Florida employee who helped officers find out how much power grow house suspects were using. "I would not be surprised if the same thing happened in my case,” Brunvand said, referring to charges against Cole being dropped. Largo lawyer John Trevena said complaints against the grow house deputies date back to 2008. One client was caught with 93 plants and sentenced to three years in prison after a detective secured a search warrant by stating that he could smell marijuana from a sidewalk. Trevena said he had a National Weather Service meteorologist ready to testify that the wind was blowing away from the detective that night, but nobody in the court system would listen. Stephen Nohlgren can be reached at (727) 893-8442 or [email protected].